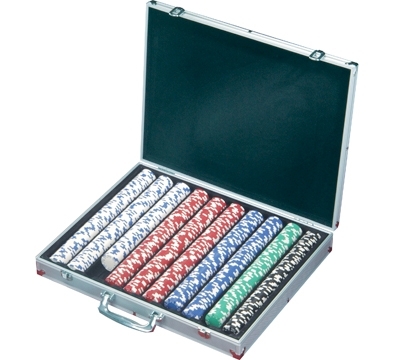 Keep your poker chips in our sturdy aluminum poker chip case. It has reinforced corners and secure front clasps to hold your chips until you're ready to play. Lined with green felt, this case holds 1000 poker chips. Poker chips and playing cards are not included.